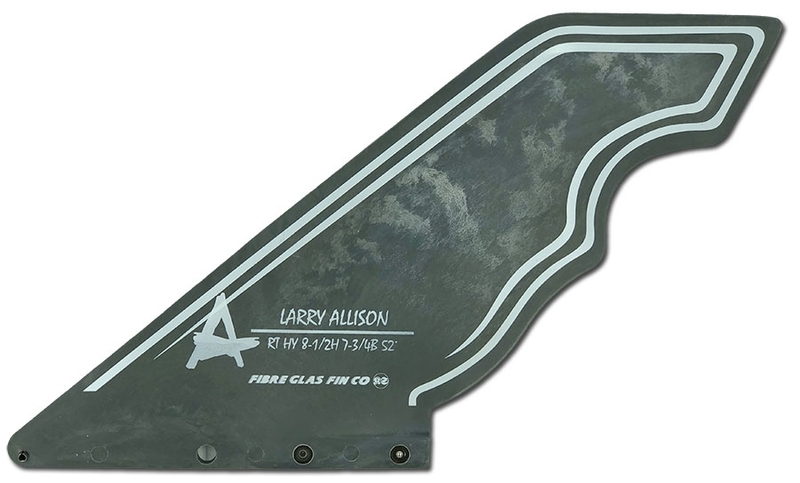 HDM fins are a high density molded fin that features a special blend of fiber and mix of plastics to yield a lightweight but stiff fin at an economical price. HDM fins will be approx. 25% lighter than solid fiberglass fins. Simply slide the front of the fin into the box channel and then press the base down into the box. Spring loaded ball bearings click into the channel and hold the fin in place. HDM 8 1/2" 52" 7 3/4"